In his office of Plastic Surgery in Bel Air, Maryland, Dr. Horowitz is able to provide excellent care to patients throughout the Baltimore area. His training and focus set the stage for a dynamic professional relationship with each plastic surgery and non-surgical patient. But it is Dr. Jeff’s care for each patient, his passion for each person’s unique concerns and his commitment to their ‘whole person’ that seeds the trust and partnership that set him apart. In our office, the “one size fits all” approach to cosmetic surgery does not exist. Dr. Horowitz endeavors to understand each patient’s desires. Then, with the patient’s input, the right treatment plan is designed and pursued. Michele Alessi is our Office Manager. Michele understands that undergoing a cosmetic procedure can be life changing, and she is there with you every step of the way. 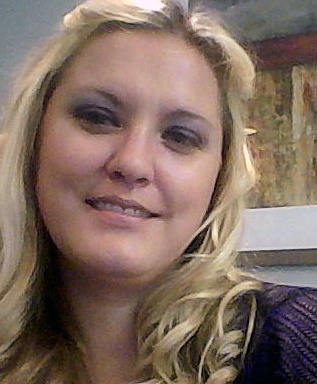 Nikki Hohman is our Patient Care Coordinator and Receptionist. Nikki has worked in the medical field since graduating from Medix in 2001. She is a beauty expert and understands our patients’ needs. When not busy at the office or working as a skin care consultant for Mary Kay, Nikki enjoys playing sports and spending time with her family, including her three kids. Kristen Cavey Marianos is a native of Bel Air, MD and one of Dr. Horowitz first patients! She loved his conservative approach, and how easy he was to talk to and give the best, honest advice. After years of being his patient, she decided to join his team in 2017. Kristen graduated from Towson University with a Broadcasting Degree. She has extensive knowledge in client communications, sales and multi-media marketing. Kristen is also an elite presenter with the international cosmetic company, Younique. She still resides in Harford County with her husband, Tony and their young daughter, Lucia. Ashley Oliver is our licensed Medical Aesthetician. Ashley is fully trained in advanced skincare, make-up artistry and aesthetic massage therapy. She works one-on-one with our patients to help them develop a long-term skin care regimen that will produce safe, healthy, lasting results. Whether you are 25 or 75, Ashley will be able to evaluate your skin and customize a treatment plan to meet your specific needs. Morgan Gale, NP provides laser services for our practice. He is a Nurse Practitioner and is Board Certified by the American Board of Laser Surgery in Cosmetic and Aesthetic Laser Surgery. He is a Fellow of the American Society for Laser Medicine and Surgery. He has been named a top health and beauty practitioner in DC Magazine in 2015 and 2016. Morgan has been performing cosmetic laser treatments for over seventeen years and has experience in over 15 different laser systems. I am so excited about the next chapter of my life and professional career. With 30 years in the makeup and beauty industry , I look forward to sharing the skin care makeup of Jane Iredale. It is an amazing natural line that has amazing skin care benefits. I am “all in” and can’t wait to share this line with all of Dr Horowitz’s patients. It is gratifying to be a part of team with like-minded professionals - a team that delivers superior services and products to their patients and finds value in serving our community through various nonprofits.